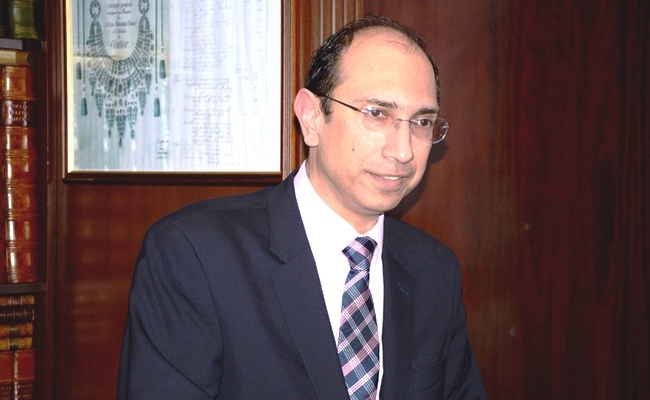 ISLAMABAD/ LONDON (ENN/MD) Pakistani authorities have removed counsel general of Birmingham Ahmar Ismail after the complaints harassment, told sources. 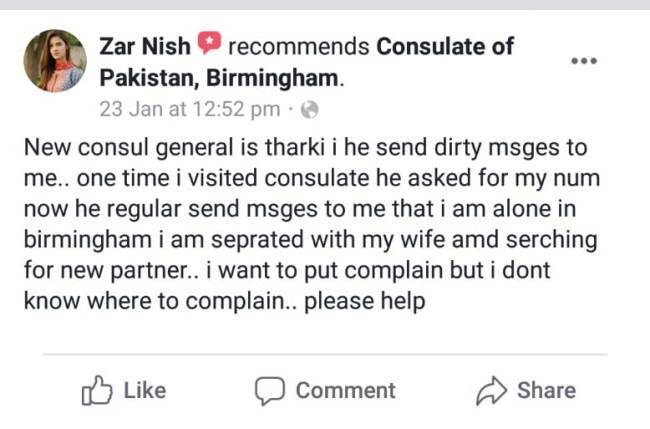 A female Zarnish, took to social media and wrote that consul general was a “Tharki” (sexual harasser) and where should she made complaint against him. She further wrote that once visited Consulate General of Pakistan in Birmingham where he met with her. After that meeting he asked for contact number and continuously kept sending messages. Ismail in his messages wrote “I am alone in Birmingham and separated with my wife and searching for partner” Zarnish further added. According to World News UK “It seems the Pakistan Consulate of Birmingham is a power base for illiterate management who clearly doesn’t understand governance and certainly don’t have any concept of good customer service”. 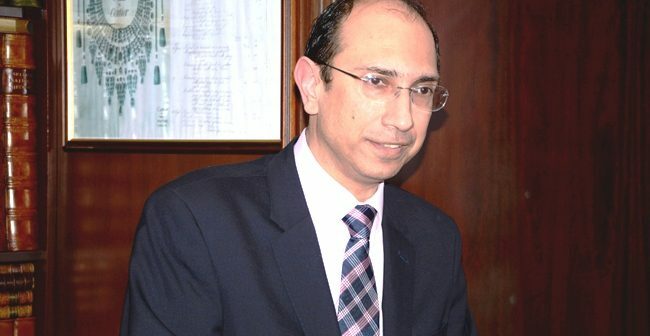 According to sources after continued hue and cry Pakistani authorities have removed Ismail and he had been directed to report back to Ministry of Foreign Affairs Islamabad. 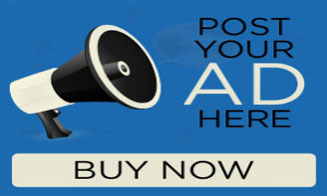 The complaints were made of website and PM’s portal by many people and Foreign Minister Shah Mehmood Qureshi was approached as well, who directed action accordingly. Next Article Interfaith harmony “understanding” under threat in Sindh!